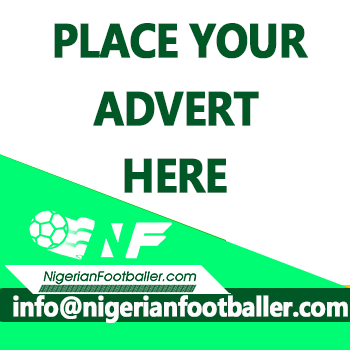 Kogi United began the new Nigeria National League, NNL season with an opening day 5-0 thumping of FC Yarmalight on Wednesday. 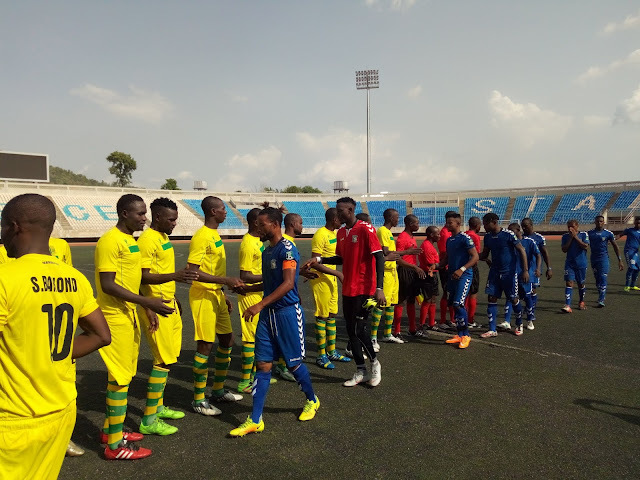 The match played at the Confluence Stadium in Lokoja had Osas Eghe score two late goals to cap up a wonderful evening for Kogi United. Samson Timothy opened the lead for United inside first five minutes when he shot past the Yarmalight goalkeeper, Muhammed Mubarak from a set piece after the keeper had surprisingly taken a goal-kick outside his box. The visitor tried to restore parity soon after but Seidu Abdulrahman's effort from the edge of the box was denied by United's goalkeeper, Ogundare Detan. Haruna Ayaguna also tried a shot from distance within moments of dominance for Yarmalight but Detan wasn't threatened. United would then get their second goal with just a minute before half an hour mark when Abubakar Danlami located John Jerome whose low cross was tapped in by Daniel Frimpong from close range. Jude Shikfu missed a glaring opportunity to get Yarmalight into the game with a minute to end half time but shot wide from inside the box. The visitors from Gombe restarted the second half with the same spirit like in the first stanza but fell short of ideas to break a rock solid Kogi United's defense. Their best chance of the day arrived at the stroke of an hour when Sanni Rabiu beat Danlami on the right flank before finding Haruna Ayaguna who headed off target from inside the box. Kogi United Coach, Tunde Abdulrahman brought in Francis Savior and Victor Tale for Idris Muye and Adegbayo Ayubato to bring more freshness to the club's attack. That paid off as they increased the tally in the 72nd minutes when Osas found John Jerome on the run and the forward finished up with a curling effort that beat Mubarak. Savior tore apart the visitors' defense with a through pass which Osas drove in and converted after beating two markers and goalkeeper to make it four-nil for United. The midfielder would then get his brace to wrap up a wonderful evening for the hosts capitalizing on a loose ball to beat Mohammed Mubarak for United's fifth goal. Head Coach of Kogi United, Tunde Abdulrahman who was excited with the result and performance of his boys said the club would build on the opening day result just as he craved for more motivation and support from government and management. "You will expect me to be happy and excited about the result and how we played, I expected more but it's just the first game, I have confidence in my boys that they do well in subsequent games. "I believe we can go all the way without losing any game but that can only be achieved with more motivation and encouragement," he said. His counterpart with Yarmalight, Stephen Anthony admitted that his side lost to a better and more matured Kogi United team just as he expressed confidence that his youthful team would come good as the season progresses. "This is our first match after promotion and we are a youthful side so I'm not too pained about the result because Kogi United are a good side and have been in the NNL well before us. "This is a team with ambitions to gain promotion and encourage young players and I believe what we learned here will help us to prepare for other matches and do well in the league," said the Yarmalight tactician. The result places Kogi United first on the Group A2 log. The Confluence state team will next travel to Jalingo to face FC Taraba in the match day two while Yarmalight will play host to FC Zamfara.